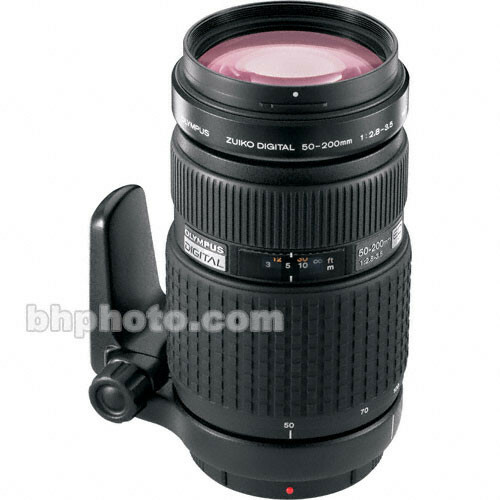 The Olympus 50-200mm f/2.8-3.5 ED Zuiko Digital Zoom Lens is a high-performance digital specific telephoto zoom lens that's one of the lightest and most compact in its class. This Zuiko Digital Lens includes 3 ED glass lens elements to correct chromatic aberrations and features a maximum aperture of f/2.8. Like all Zuiko Digital Lenses, the barrel and all connections are designed using all-metal components and rubber seals make it highly resistant to dust and moisture. Box Dimensions (LxWxH) 9.5 x 7.5 x 5.6"